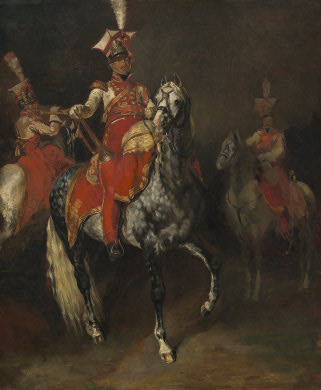 The Charging Chass&egravzzz;ur was painted around 1812 and it shows a cavalry member of Napoleon's forces on horseback preparing for attack. Yet, the horse seems to be rearing away from an unseen attacker. This work was very different from other Napoleonic battle scenes due to its unique composition. 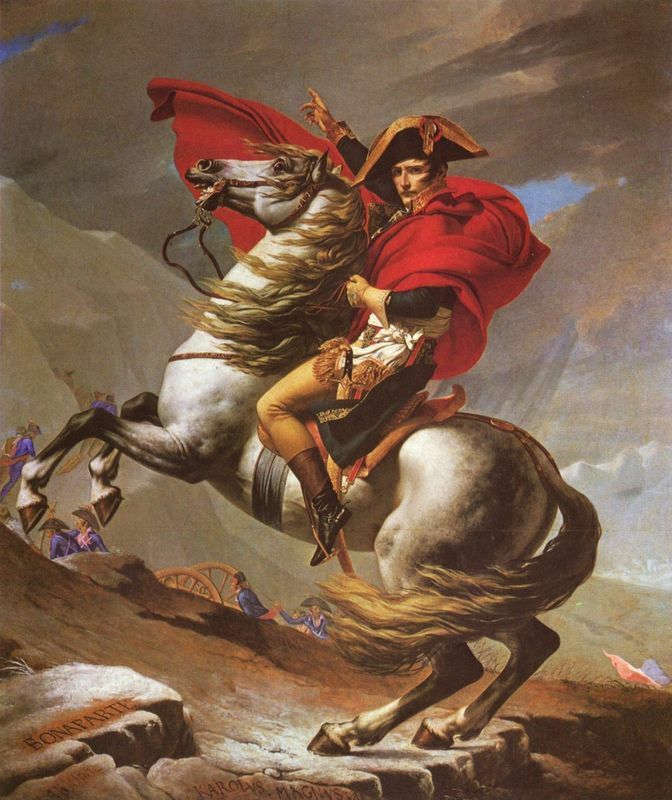 This painting is symbolic of French Romanticism and has a motif similar to Jacques Louis David's Napoleon Crossing the Alps (see Related Paintings below). However, in this piece, there are various non-classical characteristics such as its dramatic diagonal arrangement and vigorous paint handling. The Charging Chasseur was the first work that Theodore Géricault exhibited. Afterwards, the artist continued moving away from classicism and this was evident in works such as his masterpiece The Raft of the Medusa of 1819. Paintings such as The Charging Chasseur are recognizable by their individuality. 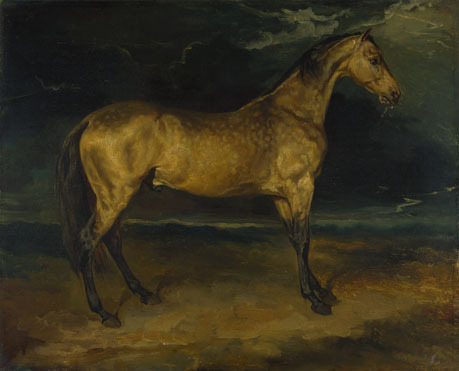 This was a major tenet of Gericault's works, which draws him tightly into the Romantic fold. Géricault seems to have been preoccupied in the painting itself, in a lively handling of pigments and the working out of his design. He would sketch individual portions of the overall composition and then paint it fully before moving onto the next section of the canvas. This gave each body or section of the composition the appearance of being its own miniature composition, lending an unparalleled physicality to each figure. Notice the soft spots of color on the center horse's muzzle and the long, rippling streaks in its tail. Géricault's trumpeter and his mount reflect elements taken from Rubens and Van Dyck. The energetic styles of these baroque artists and their emphasis of color were well matched in this piece. Géricault typically used a warm palette here, focusing heavy on the vermillion, ochre, light red, peach, black, and contrasting cream or beige to highlight colored spots. Géricault utilized small brushes, applying the paint in precise, fluid strokes that allowed little time or room for correction. 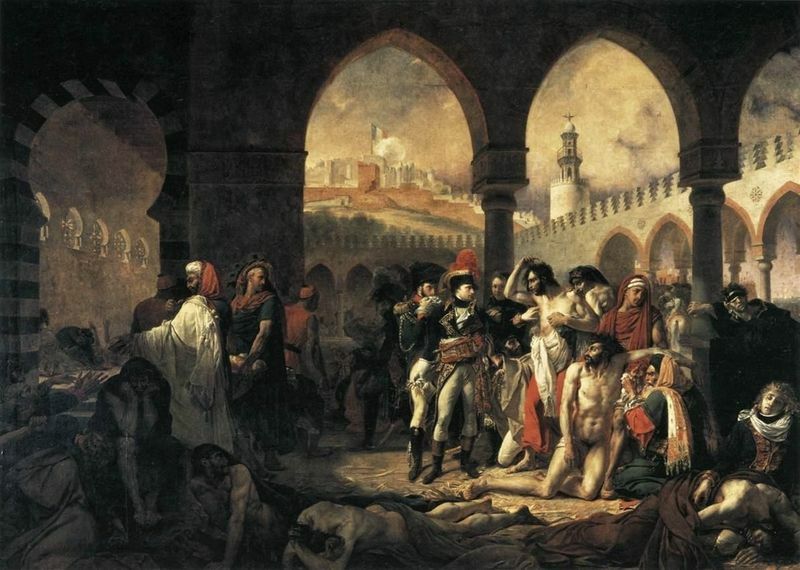 The Charging Chasseur was Géricault's first major work exhibited at the Paris Salon of 1812. The influence of Rubens' style is evident in this piece as is Géricault's penchant for depicting contemporary subject matter. 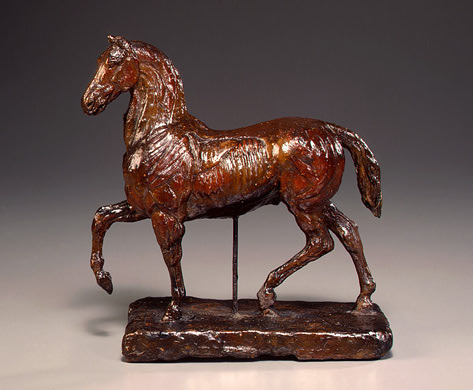 Following the success of this work, the artist spent the next few years creating a series of small studies of horses and cavalrymen. Frail, brooding and sensitive, Géricault was as romantic as a Romantic painter could be. While he began his career with grand military statements for the Emperor Napoleon, it was his later works, such as The Charging Chasseur with their emotional brutality and raw empathy, which captured the hearts of audiences for generations. Géricault's later works were often iconic in the era in which he lived, forging a new emphasis on raw emotion and sharply veering away from the refined compositional studies of Neoclassicism. Unfortunately, the artist's death at an early age prevents us from knowing how much further into the depths of humanity he was capable of plunging. However, the work he did leave was of great importance to the Romantic Movement. 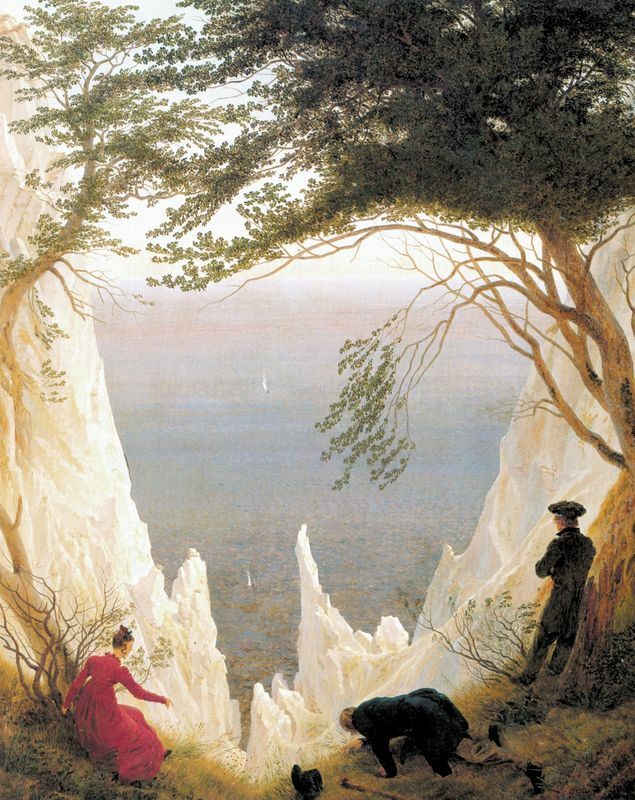 Romantic painters such as Friedrich and Delacroix were part of a complex multimedia philosophical movement, involving the literary, visual, and intellectual arts. To read more about Gericault and his works please refer to the following recommended sources.